Apoquel is a revolutionary medicine that works differently than others. It goes right to the source—to stop the underlying cause of allergic itch in dogs 12 months and older. 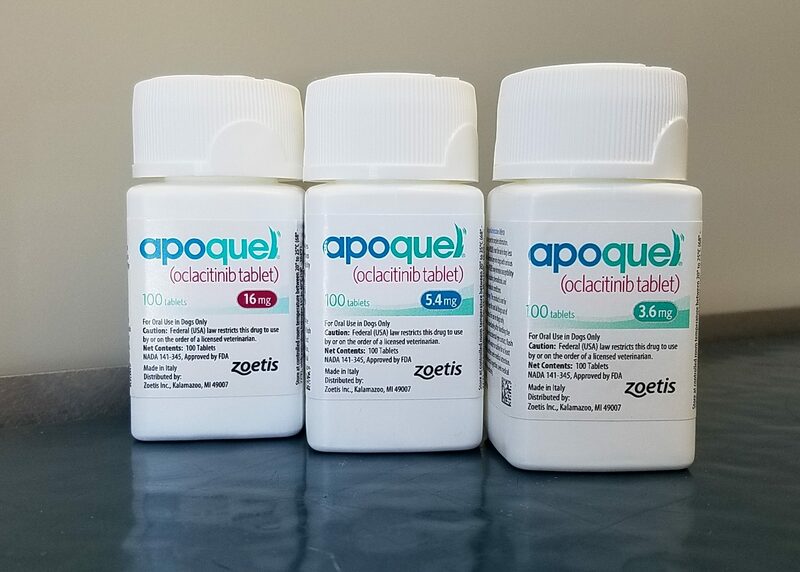 Apoquel is a revolutionary medicine that works differently than others. It goes right to the source—to stop the underlying cause of allergic itch in dogs 12 months and older. With Apoquel, you and your dog can get back to the fun, playful, joyous life you enjoyed together! This revolutionary prescription medicine stops allergic dog itch—right at the source. So your best friend doesn’t have to suffer one minute more! A current prescription is required to order this product, any refill will be at the discretion of your veterinarian. A client relations team member will call with any further questions regarding your order.